The Cape Breton Privateland Partnership provides guidance and support to woodlot owners on Cape Breton. CBPP can provide world class sustainable management planning for your woodlot. As a member you can access these services at half the cost. Learn more here. 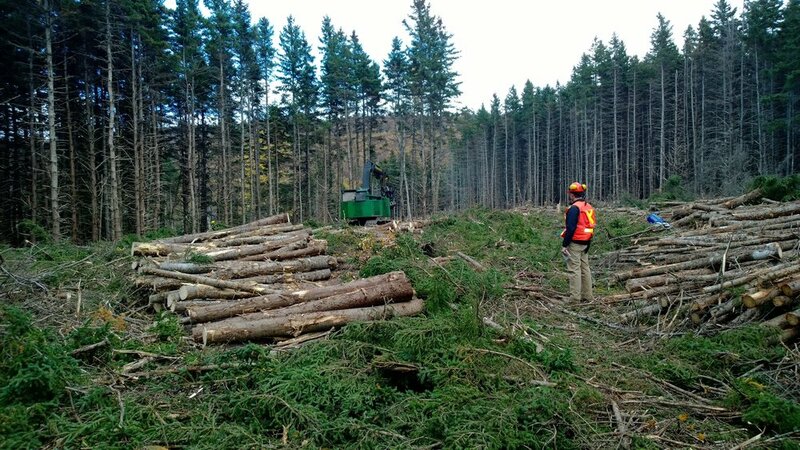 We partner with industry and the provincial government to provide silviculture for your woodlot at no cost to you. Learn more about silviculture options here. CBPP will provide support, guidance, and supervision to make sure work carried out on your woodlot is done the way you want. Through a partnership with the Nova Scotia Landowners and Forest Fibre Producers Association (FSC® C020468) , we are pleased to offer free certification of your woodlot to the FSC® standard. Not only does this ensure you that your woodlot will be managed in a sustainable way, it gives you access to market and funding benefits not otherwise possible. Learn more about FSC® at www.fsccanada.org. A forest is a living legacy ... what will yours be? Promoting sustainable and profitable management of our private woodlot forests. We believe that our forests, managed appropriately, can contribute to both the health of our environment and our economy. CBPP works hard to improve the condition of our forests our local industry through numerous projects. With over 7000 woodlots on Cape Breton alone, we think local woodlot owners play an integral role in our regions future. Managing for tomorrow needs to start today! When you join CBPP we both win. CBPP is a not-for-profit woodlot owner group working to promote and support sustainable management of Cape Breton's family owned woodlots. By joining us, for just $25/year, you get access to forest management support and services at zero or reduced cost. And, as a member, you help us continue working on improving the health of our forests and industry.